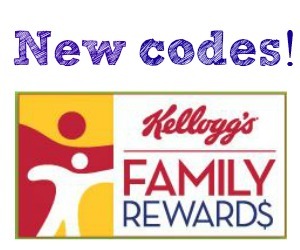 Heads up Kellogg’s Family Rewards members! Here are some more new codes you can enter into your account to get up to 175 points. Save up points through codes like these to earn high value coupons! Go ahead and enter your codes before they expire.